High back design offers excellent neck and head support. Slick, black faux leather finish is low maintenance and easy to clean . Chrome-plated base and arms offer contemporary style. Adjustable tilted back with lock lever to support user preference. Height adjustable function allows user to adjust to desired working height. 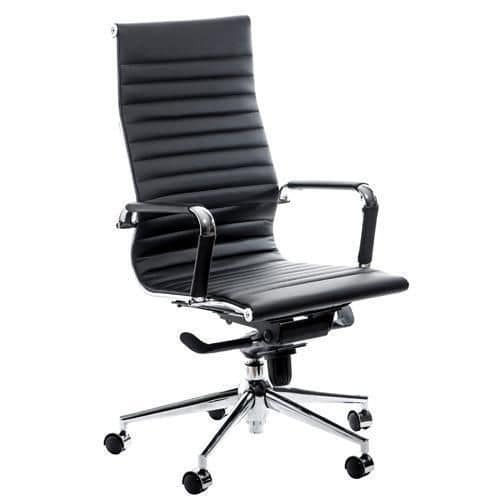 Black leather office chair with wave design and headboard.